THE STORY - When Cold War veteran Stan Hurley takes CIA black ops recruit Mitch Rapp under his wing, they receive an assignment to investigate a wave of random attacks on both military and civilian targets. After discovering a pattern of violence, Hurley and Rapp join forces with a lethal Turkish agent to stop a mysterious operative who wants to start a global war. THE GOOD - Michael Keaton does the best he can with what he's given. The action scenes are decently edited. THE BAD - The story is highly derivative of so many other international spy action films. Dylan O'Brien is charisma free. The action scenes aren't fun or memorable. ​It seems like every year that cinema audiences are treated to a new attempt at the espionage action thriller. Some sinister person or group, usually of Arab, Russian, or North Korean extraction given today's political climate, wants to commit some horrible international atrocity. In response, some American super spy steps up to try and take down the bad guys, often single-handedly. Guess what? That's exactly what "American Assassin" is like. 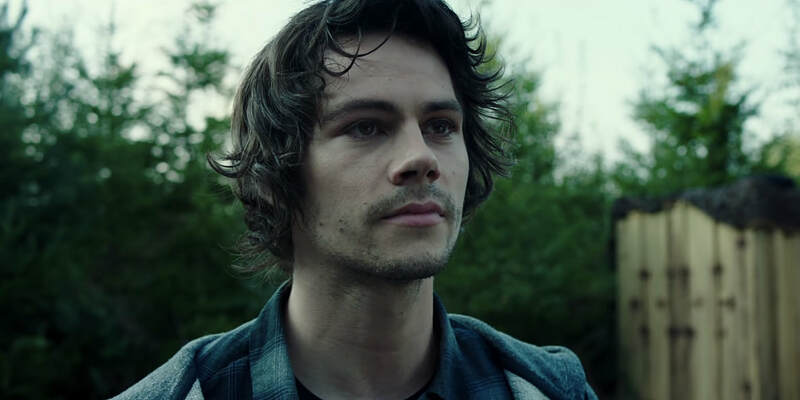 After his fianceé is gunned down in a terrorist attack, Mitch Rapp (Dylan O'Brien) becomes a vigilante who inserts himself into terrorist cells to destroy them personally. When his actions are noticed by the CIA, Rapp is recruited to the team of Stan Hurley (Michael Keaton) in order to track down missing nuclear materials stolen by a ghost from Hurley's past. The single most effective element of "American Assassin" is Michael Keaton. Keaton steps into the role of the grizzled veteran operative who wants to be a mentor but is tough because of his past failures. It also seems like Keaton had some fun with the role. A slight positive mention also should go to the action scenes in the film. In modern action films, it's become too common to edit the actions scenes in a quick and hyperactive style that is designed to hide some of the weaknesses of the choreography. Such editing is immensely distracting and has, at times, given me a literal headache. This film doesn't do that at least. It's also surprisingly bloody, which is I suppose is only surprising because too many of these films are neutered PG-13 affairs with maybe a shot glass worth of cranberry juice on screen. Unfortunately, the action scenes just aren't anything special or interesting. The gun fights are much of the same that has been in prior films. Even the inclusion of mixed martial arts techniques in the hand to hand sequences isn't all that special now that "The Raid" and "John Wick" films have taken such sequences to lofty heights. Similarly, the story of "American Assassin" just can't measure up. Whether it's James Bond, Jack Ryan, Jason Bourne, or a million clones in between, the whole idea of the special spy who can take down an entire terrorist plot by himself has been done to death. It takes something special to make it into an interesting film. And this one just doesn't have anything special to it at all. The dull plot isn't helped by a protagonist that is essentially either a block of wood or an angry kid lashing out at authority. Said protagonist is also weakly played by Dylan O'Brien, who most people would know as the protagonist of "The Maze Runner" films. O'Brien has never particularly struck me as leading man material and he only adds fuel to my suspicions with his performance here. It's not terrible. It's just exceptionally bland and doesn't really make the character all that interesting. Ironically, the primary villain of "American Assassin" is played by Taylor Kitsch, an actor who has also had previous forays of leading man failure. While Kitsch's character is similarly cliched (being the former operative who turn evil), at least Kitsch delivers a performance that makes me believe his character is a disillusioned quasi-sadist. In the end, "American Assassin" just doesn't have much going for it. Michael Keaton gives some small level of gravitas to his role. The action scenes aren't terrible either, especially compared to similar scenes in recent similar films. However, the story derives too much from other works. Dylan O'Brien doesn't get me invested in a character with whom I have very little connection. And while the actions scenes aren't terrible, they aren't compelling or memorable in any real way. I can't recommend "American Assassin." If you want an enjoyable action film from 2017, just stay home and rent "John Wick: Chapter 2."